"William Watie needs to shore up defense with the Black pieces. Rating appears to be in a downward adjustment and should soon stabilize at a slightly lower level. Be sure to review every move of your games -- especially your losses. Try to figure out where you went wrong and what might have been better. 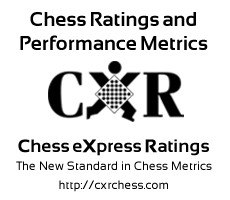 William should seek opponents closer in rating. William Watie is in a slump, off 96 points from a peak rating of 354 achieved on 2017-02-18. "